Bible School is over now. We had a great time. Thought I'd show you a couple pictures. Bible Time - that's my oldest leading the Bible Story time. My flash on the camera lit this up, but really it was dark and they were inside the "belly of a whale!" Even had sardines to make the smell seem real. Ewwww! Click above to join Joyce in all the Hodgepodge Fun. 1. July is National Ice Cream month...your favorite flavor? Soft served, hand dipped, or frozen yogurt...which do you prefer? And technically yogurt is not ice cream but its hot outside so I'll let that slide for today. Hand dipped chocolate chip from United Dairy Farmers or chocolate custard from Culvers. 2. When you travel do you tend to pack too much or too little? Too much. I end up not wearing half of what I take. 3. What's your favorite cleaning product? The one someone else is using (especially when their using it to clean my house)! 4. Which is the greater tragedy-an innocent person imprisoned or a guilty person set free? Explain. Sorry, I'm not playing fair. I think they are both terrible! 5. What's the longest trip you've taken by car? From Ohio to Estes Park, Colorado. I really don't do any of them, but probably biking. 7. What sound drives you crazy? Fingernails on a chalk board. We're in the middle of VBS and I'm tired but having fun. Click here to join in with the SkyWatch Friday fun. Click the button above and join in the fun with all of us over at Joyce's. Come on....you know you want to! 1. July 20th marks the anniversary of the first time man stood on the moon. Flash forward 42 years to July 8, 2011 which marked the start of the final Space Shuttle mission. Should we continue to explore space? Should nations devote more or fewer of their resources to exploring space? Would you want to go into space if the opportunity arose? I love the space program and yes I think we should continue to explore space. I would love to go into space, well, that is if I could work up the nerve to do it. 2. What are three things in your freezer? Chicken, ground beef, fruit, etc, etc, etc. 3. If you could see any band/artist perform live tonite who would it be? It has to be someone living...no Beatles, Elvis, etc. Reba McIntyre comes to mind. 4. Ice-cubed or crushed? Or are you one of those people who don't like ice? Love ice and I love it crushed. 5. The owner of a small restaurant outside of Pittsburgh recently announced he was banning children under six, saying they regularly disrupted other customer's meals. You can read the story in more detail here but isn't this a perfect topic to discuss in our Wednesday Hodgepodge? Have at it friends...what are your thoughts? I'm not going to comment on whether it's right or wrong to ban the children, but this is what I will say. It's his business, so I think he should be able to do what he wants. If the customers don't like it, then they don't have to come there. 6. What was your first car? How did it come to be yours? 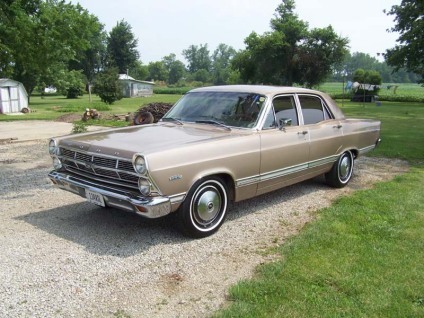 I had a 1967 Ford Fairlane. I bought it sometime after high school graduation in 1975. It cost all of $500. I loved that car. It had a hole in the floorboard and you could see the road through it when you were driving. But I was cool, cause I owned a car. It would have looked similar to this only maroon. 7. If I had a nickle for every time I _complained__ I'd be rich. I hate to admit it, but it's probably true. Our Vacation Bible School starts Monday night. That probably means I'll be here on the blog and visiting your blogs even less than I have been in the last couple of weeks. We're doing "Pandamania". It's going to be fun! Today I just have some random thoughts I think I'll share. Nothing profound for sure. Pinterest: For the last couple of weeks I've been hearing bits and pieces about it, so I requested an invitation and received said invitation and signed up yesterday. So far I've pinned just a couple of things and I've already gotten a couple of followers. I think when I have some time to spend figuring it out, it may be something I'll enjoy. So are any of you on Pinterest and if so, what do you think of it? Larry Crowne: The girls and I went and saw this movie tonight. I thoroughly enjoyed it. I'm not sure if they did or not. Maybe their too young or the characters (and me) are too old. But anyway, I thought it was good. We sure had beautiful weather today and I hope the weekend will be nice too, but I think it's supposed to get really hot again. But I'm still looking forward to the weekend, no matter what the weather is. Hope you all have a great weekend. I'm sure going to try to. Click the button above to join in the fun! 1. How has your hometown changed since you were a kid? What has changed most about the neighborhood you grew up in? There are tons more people living here, but the downtown area is still similar. The stores have changed, but the outsides of them look different. I love living in a small town like this. 2. What song makes you laugh? I have this song on my iPod. I love it. 3. Are you a fan of Harry Potter? Read the books? Seen any/all of the movies? Will you be standing in line somewhere close to midnight later this week? For those of you playing along today who live outside the US or UK is Harry Potter a phenomenon in your part of the world? I guess I'd probably be called a semi-fan. I've seen them all except the one that came out last summer. I'm sure I'll probably watch it and this new one sometime on DVD. 4. If the truth hurts, will you tell a lie? Are we better off as a society in a world that allows no form of deception whatsoever? I may try to avoid saying anything to keep from hurting someone with the truth, but I'd certainly try not to lie. 5. What is your favorite 'sauteed in garlic and butter' food? Or garlic and olive oil if that makes you feel better. I'm not a big fan of garlic. 6. Attending any reunions this summer/year? High school? family? Other? Do these events stir up excitement or dread? No reunions. And I'd say reunions have a tendency to do both. Fill me with excitement and dread. I dread them until I get there and then I usually have a good time. 7. Lilac, hydrangea, peony...pick one. Lilac. I love the smell. I love participating in the Hodgepodge. Thanks Joyce for doing this every week. You are very appreciated! I'm still here and hopefully will be able to start posting a little more regularly soon. Life if just really busy lately (not necessarily hubby's and mine, but the girls). We've been doing a lot of running of both girls. The oldest is working lots of hours trying to get money for college and she either borrows hubby's van or we have to take her. The youngest has been extremely involved in her youth group and they are getting ready for a mission's trip next month and have been having a lot of meetings for that, besides the regular youth things. Now, I know it sounds like I'm complaining. I'm really not. Just stating fact. I'm glad the oldest is working lots of hours and I'm happy the youngest is being involved. It just doesn't leave a lot of hours for blogging. So, I hope everyone has a great day and I'll "see" you soon. If you are going through hard times and need some encouragement, please take a moment and listen to this song, "God Gives Grace." 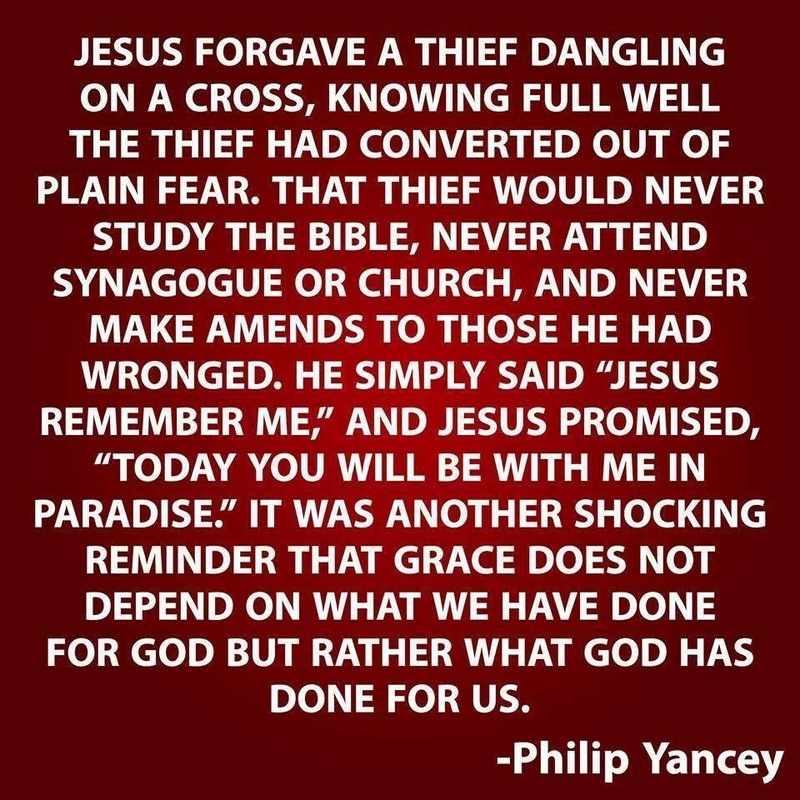 Thank you God for your grace. It truly is amazing! 1. What is the most useful book in your house? Our Bibles and my Better Homes and Gardens Cook Book. 2. What's worse-being too hot or too cold? Definitely too hot. I can always put on more clothes, but honey you can only take off so many and still be allowed out in public! 3. Share something that made you smile this past weekend. 4. How do you like your hamburgers? Or don't you? Cooked about medium and on a honey bun with mayo or Frisch's Tarter Sauce, tomato and American Cheese. 5. What's your summer beach read? If it's not summer in your part of the world then tell us what book you're reading in front of the fire while sipping hot cocoa. 6. How was your birthday celebrated when you were a kid? Mom would make us a cake and we'd get a gift. We didn't make big deals about it, but it just just celebrated with immediate family. 7. What's something that is totally uncool that you love anyway? I don't know, cause if I love it, then it's cool to me! At church Sunday night we met in a Sunday School room and sang a bunch of old Hymns a cappella and then we ate watermelon, honey dew melons and cantelope. We laughingly called it "Melons and Melodies." We're a small group on Sunday nights, but we sure had fun. Here are a few more pictures from my nightly walks in our subdivision. I love our neighborhood. It's perfect for walking and there are so many people out sitting in their yards and others are walking too. It's just a great place to live. These flowers are around a mailbox. These flowers are actually on a tree and it has the most wonderful fragrance when you walk by. Saw this little fellow running around. He wouldn't let me get very close though. But through the power of a telephone lens and then cropping the photo, you can see him fairly well.